Can Morocco Create a New Middle East through Green Energy? FEZ – The global oil-price bust has devastated economies across the Middle East and North Africa. Having seen severe price declines in the past, many leaders in the region may be tempted to wait for prices to rise again. But this collapse is different, and governments need new energy and development strategies. Morocco’s drive to become a regional renewable-energy powerhouse offers a real option for economic development in other Arab countries. Morocco has been investing in large-scale renewable-energy projects for some time; but only now are these investments coming online. 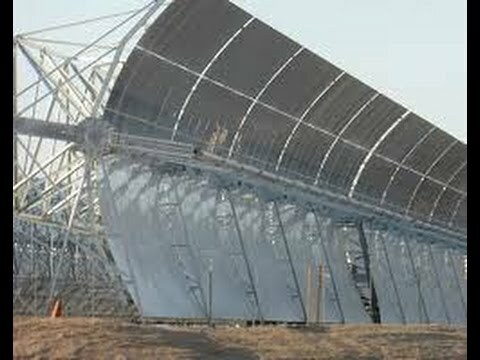 Perhaps the most impressive is the gigantic Noor-1 solar-energy compound, located in the Moroccan desert near Ouarzazate. Opened on February 4, Noor-1 uses highly advanced technology to store energy for use at night and on cloudy days. Considered the largest solar power plant in the world, Noor-1 is expected to produce enough energy for more than a million people, with extra power eventually to be exported to Europe and Africa, according to the World Bank. Given that Morocco imports around 97% of its energy supply, and possesses no oil or natural gas deposits of its own, the government has viewed developing renewable energy as the only way to ensure the country’s continuing economic development. This is an insight others in the region should heed. The Noor-1 project, covering an area of more than 4.5 square kilometers (1.7 square miles) with 500,000 curved mirrors – some as high as 12 meters – cost around $700 million. But it is intended to be only one part of a huge solar compound extending over 30 square kilometers. Indeed, by 2018, three more plants, Noor-II, Noor-III, and Noor-Midelt will be constructed, using a combination of technologies, including thermosolar and photovoltaic. The project will generate up to 2,000 megawatts daily by 2020, helping to reduce the development gap between urban and rural areas. Of course, the project has demanded huge sums in investment. Of the $9 billion project’s financing, some $1 billion has come from a German investment bank, $400 million from the World Bank, and $596 million from the European Investment Bank. The rest of the funding has come from Morocco’s government as part of its national development strategy. In the near future, Morocco will also develop a wind program with a capacity of at least 2,000 MW daily, and a 2,000 MW hydropower project. These could provide the country with 42% of its total electricity production. This represents an unparalleled proportion of renewable energy at both the regional and the international levels. Already, the Tarfaya Wind Farm, positioned on Morocco’s Southern Atlantic Coast, is Africa’s biggest. With 131 turbines and a daily capacity of more than 300 MW, Tarfaya will help reduce Morocco’s carbon dioxide emissions by 900,000 tons annually, and cut the country’s annual oil import bill by more than $190 million. Despite this focus on renewables, Morocco has not gone cold turkey on traditional energy sources. Over the next five years, the authorities will set up the infrastructure needed to make liquefied natural gas (LNG) more accessible to domestic industries. This is a huge endeavor, as it also includes a port with an LNG dock and a 400-kilometer pipeline. This remarkable project will cost another $4.5 billion, all of which will come from the private sector. With demand for electricity, mostly from the country’s expanding industries, rising by 7% annually, Morocco’s government has long known that it could not sit still. Today, 90% of the Moroccan population is connected to the grid, up dramatically from the 1990s, when that figure stood at just 18%. Over this period, the country’s investments in electrification rose to more than $3 billion annually. Morocco’s government is convinced that reform and development will confirm its emergence as a regional leader and gateway to Africa. Increased access to renewable energy will mean that all companies will have sufficient power to meet their needs, which is essential to the country’s ability to diversify its economy. Investors are aware of Morocco’s exceptional geographic position and its political stability in a region all too often held back by uncertainty. The country’s giant solar complex and other investments will help boost the country’s energy independence, reduce costs, and expand access to power. Others in Africa and the Middle East should take note. Moha Ennaji is President of the South North Center for Intercultural Dialogue and Migration Studies in Morocco and Professor of Gender and Cultural Studies at Fez University. His most recent books include Muslim Moroccan Migrants in Europe and Muticulturalism and Democracy in North Africa.